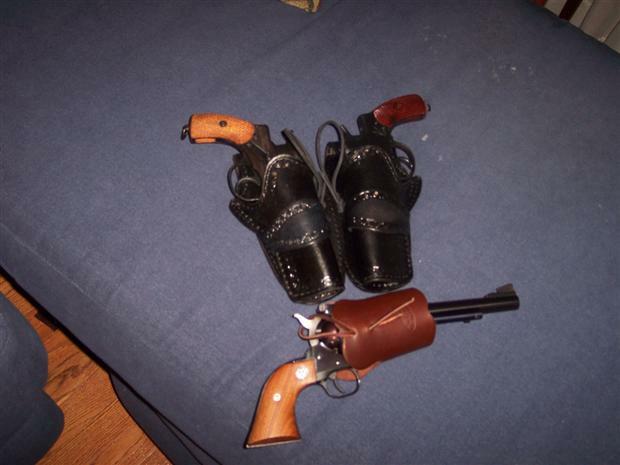 As I have gotten out of the Cowboy Action Shooting Game, I have decided to let these holsters go. I had these made by Mernickle Holsters out in NV, so these are custom holsters for the 1895 Nagants, not some other holster that's been re-worked. They fit the guns tightly, but allow for a fast draw. I am asking 150 for the pair, where it cost me over 100 for each individual holster. These have been used for 3 matches, so there is very little wear. I can also send separate pictures if you are interested. There is a classified section here. Also, how were you using these in CAS? Aren't those double action revolvers?